At CMH we strive to provide excellent comprehensive screening and diagnostic breast health care for our patients. Jana Horner, M.D. 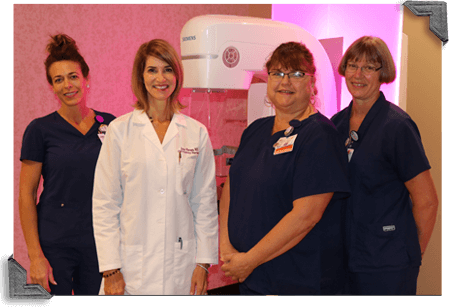 runs our breast imaging center and she interprets screenings and diagnostic mammograms as well as performing breast ultrasounds. Our qualified staff performs breast aspirations and biopsies.